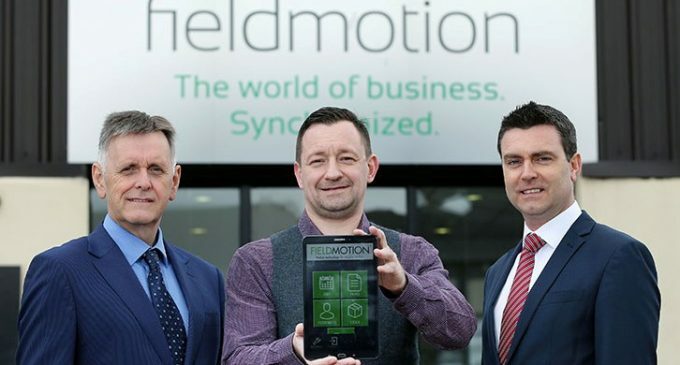 Fieldmotion is expanding its workforce in Newry as part of an investment targeting additional US sales. The company is benefiting from Invest Northern Ireland assistance to recruit 14 new jobs, almost half of which are already in place. Fieldmotion has a growing network of UK and US based partners licensing its workflow and field management software, which was developed using R&D support from Invest NI. “Invest NI’s ongoing support has been central to our progress to date and will help to accelerate our three year development plan. 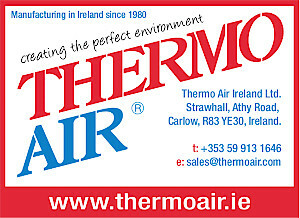 Recruiting 14 new staff will create the additional resources needed to continue to build our customer base and achieve our growth objectives. 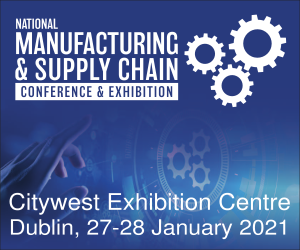 We are encouraged by the development of our partner network to date and will be focused on driving growth in the US as well as targeting prospective partners in Australia, Canada, QATAR, Kuwait and India,” adds Jim. Pictured (L-R): Mark Bleakney,Southern Regional Manager, Invest NI; Jim Finnegan, CEO of Fieldmotion; and Neil McCabe, Senior Investment Manager at Whiterock Capital Partners.